I’m sad my grass is now covered in snow. I have been enjoying Shakeables treats for a few months and if you live in the USA, now is your chance to win your own can! 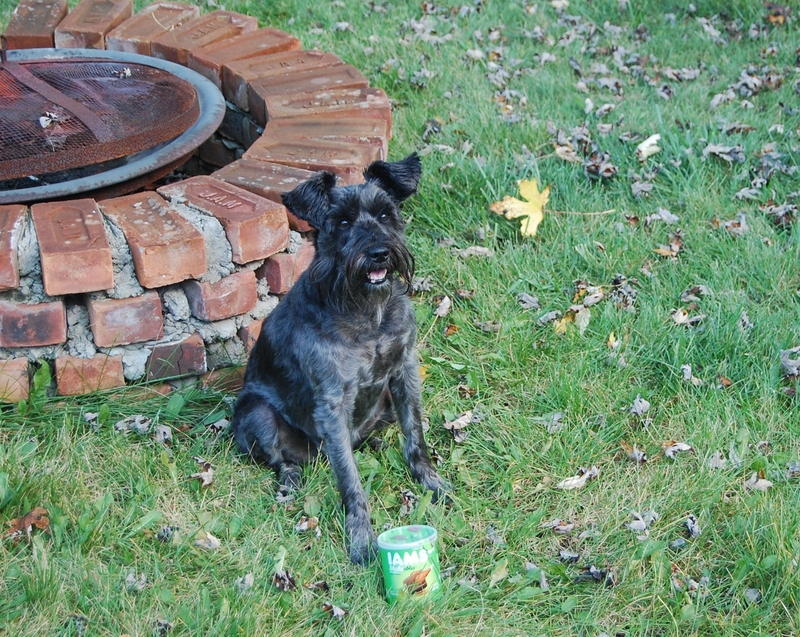 Iams has provided a coupon for one lucky reader. The Shakeables container makes a cool noise when it gets shaken. It’s a built in treat-notification-system! When I hear it, I take off towards the kitchen to see which flavor I get to have this time. They have Clucky Me Chicken, Gobble ’em Up Turkey and Un-baa-lievable Lamb flavors. Each flavor has a different shape and Dr. Amy Dicke of Iams said that they can be cut them in half or even quarters for training or more frequent treating. That’s easy to do because they’re nice and soft. 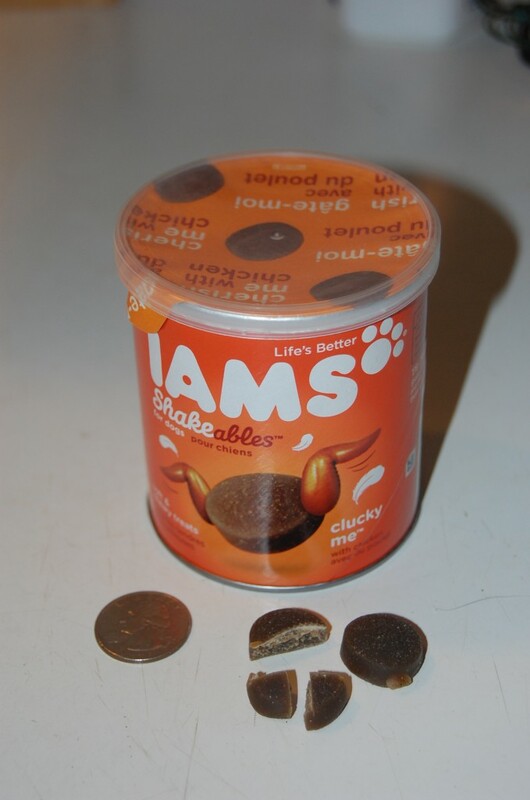 Would you like to try Iams Shakeables for yourself? Just leave me a comment on this post telling me which flavor, or color, or shape looks like the most fun to you. The contest will close on Tuesday 12/17/13 at midnight EST. The winner will be selected by random draw or some more clever method if my mom person has time to come up with one, BOL! *I’m sorry but this is a USA contest only. Iams has been a long time sponsor of our and provided coupons for Shakeables for this promotion. All of the comments about how cool they are are my personalized Oskar opinion. 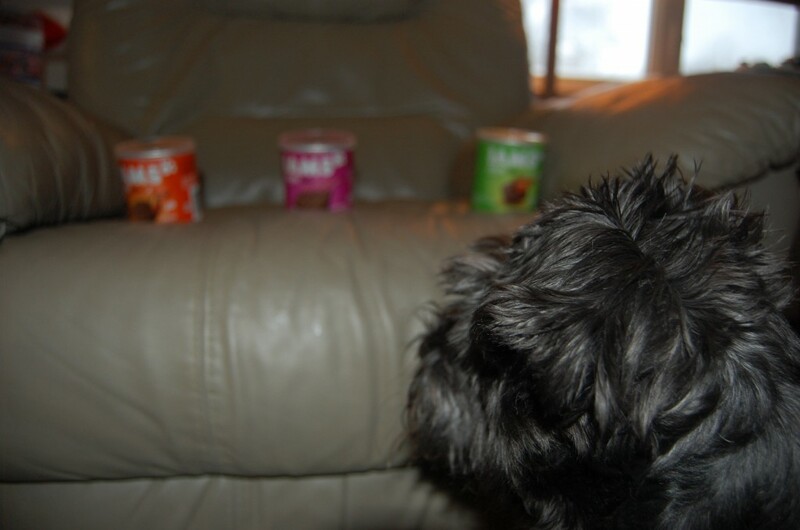 A bunch of our blogging friends tried Shakeables thanks to Iams too. You can see a list of their Shakeables posts and learn about the #ShakeItForward program on Pet Blogs United. We have heard some super thingys about how good they are. I think my three fur babies Oscar, Boomer and Corky would like to try the orange can. They aren’t very picky so if you’re out of the orange can any one would be yummy to them. Sorry Oskar your grass is covered in that cold white stuff. Oh, Oh Ohhhhhh, we want to enter for the LAMB, oh awesome! Just the names of them have us droolin’. All Things Collie recently posted..The snow has finally arrived! We see just shaking at the mere idea of tasting some of those Shakables! We would love any flavor but if we really had to choose we would probably go with the chicken. MurphyandStanley recently posted..Stanley’s Top Secret plan! We’ve had these before and we totally agree- they are awesome, Oskar! And because we won our Iams Shakeables in a give-away, we’re not going to enter. OOh – I’ve had these before and they are yummy! I likes the lamb one. Oooooo, this sounds FABulous Oskar!! I thinks I want to try the chickens!! Yummers!!! pees: I hopes your feelin’ 100% now Osakar! Ruby recently posted..Mom Thinks She’s Funny…. Oskar that looks tasty! can you hold it a little closer to the screen? Oh they all sound so yummy…! I would love to give them a try…the chicken ones sound most yummy of all! Poodle At Play recently posted..For me?! Angel Keisha recently posted..Kitmas Countdown! Those sure do sound tasty, Oskar! We’re glad you like them so much (and that you are able to eat them, even with your Pancreatitis)! Hey, how’s Mom Pam feeling these days? meowmeowmans recently posted..A B-Day Shout Out To A Very Special Man! Thank you so much for your kind words of sympathy about our dear Yoko. Hi Oskar! I must apologise for not visiting lately, it seems you got left out of my new reader when google reader died! Those treats do look super good! Maybe they will come out in the UK soon? Oskar, I must apologise for not coming by, it seems you got left out of my feedly reader thingy! Those treats do look delicious! You don’t need to enter us for the giveaway because we is cats. We hope they will make some Shakeables for cats someday because you seem to really love those treats! Just wanted to pop by to wish you & your family a very Merry Christmas & Happy New Year!